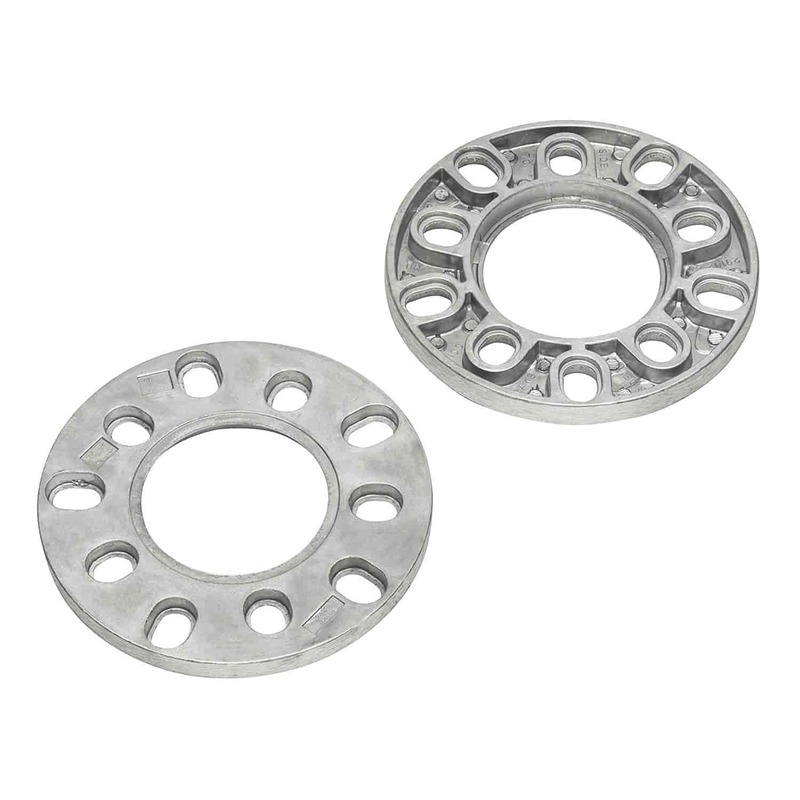 Cragar Spacers 1/2" Spacer, 5 x 4-1/2" , 4-3/4" , 5" , 5-1/2"
Cragar wheel spacer kits are designed to move your wheel out into the fenderwell. They are available as Kits with Lug nuts or as Spacers only. Kits include two 1/2 in. spacers, your choice of ten 7/16 or 1/2 x 20 in. lug nuts, and washers. The spacers are made from die-cast aluminum, and the lug nuts come chrome plated. 29102 is rated 2.5 out of 5 by 2.